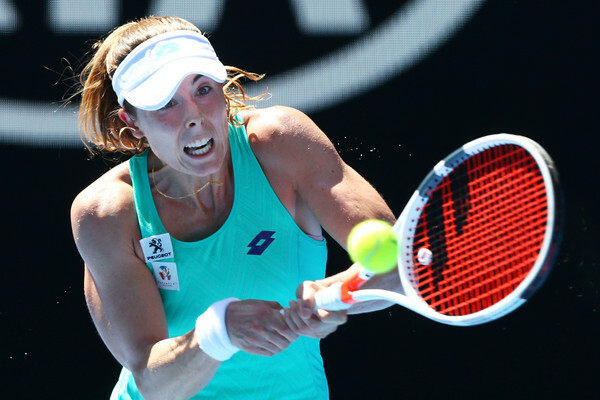 Alize Cornet totally demolished Kateryna Bondarenko in the opening round of the Volvo Car Open as the Frenchwoman defeated the Ukrainian with a commanding 6-1, 6-2 scoreline after just a mere 66 minutes of play. It was a top-notch performance put up by world number 37 Alize Cornet as the Frenchwoman ousted a tricky veteran in Kateryna Bondarenko to book her spot in the second round of the Volvo Car Open. The conditions were tricky for both players especially with this being their first match on clay this year, but Cornet showed no signs of rust as she put up a clinical display of controlled aggression and impressive serving. Cornet, who has been in poor form recently, will look to boost her confidence with this comfortable win and has a decent chance to make the third round as she will next face either the qualifier Maryna Zanevska or another veteran in Polona Hercog. It will be a challenging task, but nonetheless, the Frenchwoman enters the encounter as the overwhelming favorite considering how well she performed today. It was the perfect start which both players would have asked for as they perfectly adapted to the surface, producing some high-quality shots on the special green clay as three consecutive holds to 30 opened the match. Being aggressive on the return, Cornet finally seemed to have found her groove after a tough stretch of results which saw her being affected by the controversy concerning her missing a series of drug tests. Losing four of her past five matches, the Frenchwoman looked in top form today, and a backhand error by Bondarenko ultimately handed the 14th seed the opening break in the match. Withstanding the incoming surge from the Ukrainian veteran, Cornet impressively consolidated the break for a formidable 4-1 lead. Mixing up the variety in her shots, Cornet utilized her drop shots well before sealing a second successive break with a smash winner. After just a mere 25 minutes, the world number 37 sealed the opening set 6-1 having not faced a break point throughout the entirety of the set. After another exchange of service holds, it was once again Cornet who rode on her momentum and made the first breakthrough in the second set with Bondarenko failing to close out points where she had the upper hand in. She was broken to love and it was just the beginning of an eight-point losing streak as the fans witnessed Cornet surging to a commanding 6-1, 3-1 lead. The Frenchwoman then proceeded to claim her fifth consecutive game, breaking serve for the second consecutive time before earning a couple of match points on the return with Bondarenko serving to stay in the match at 1-5. Some tough resilience and solid baseline work by the world number 76 saw her remaining in contention, but it was just all too late as Cornet earned the straightforward victory without even facing a break point on serve.